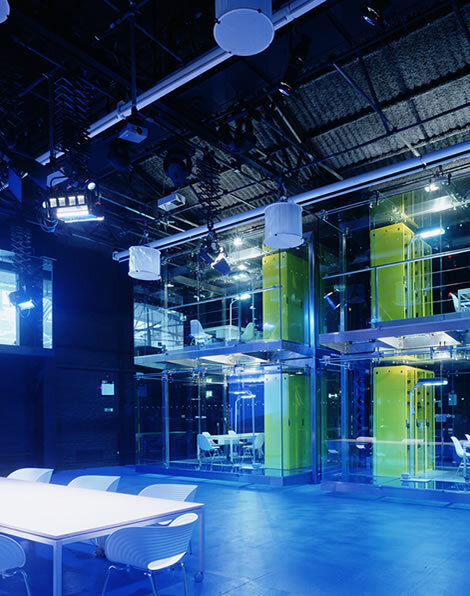 BT Cellnet/O2 launched a limited design competition for a temporary research and development centre within the shell of an existing, disused film studio at Ealing Studios in West London. Nick Eldridge’s winning proposal responded to the fact that the studio was due for demolition after two years and centred on the design of elements that could be dismantled and re-used in a new building. The design of the open-plan work areas challenged the conventions of BT’s corporate environment providing a model for applications development facilities of this kind within the company’s new organisation. 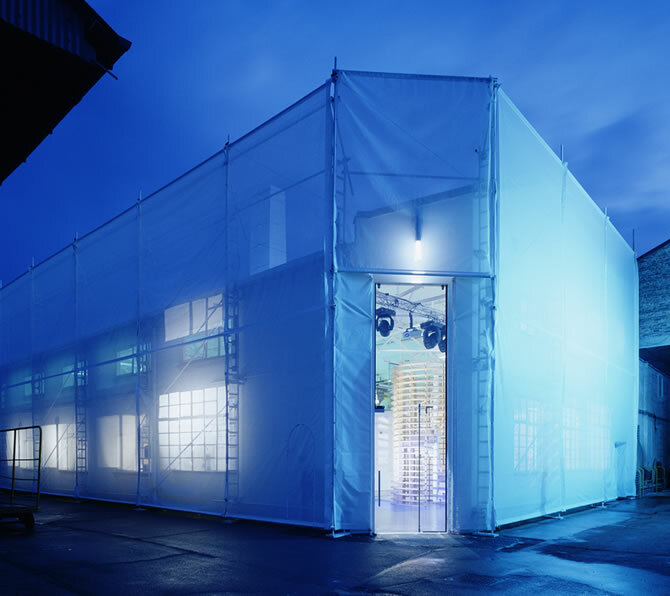 The entire exterior of the building was wrapped in a white translucent fabric skin presenting a new and quite abstract image to the outside world and also served to protect the centre from the adjacent construction sites. 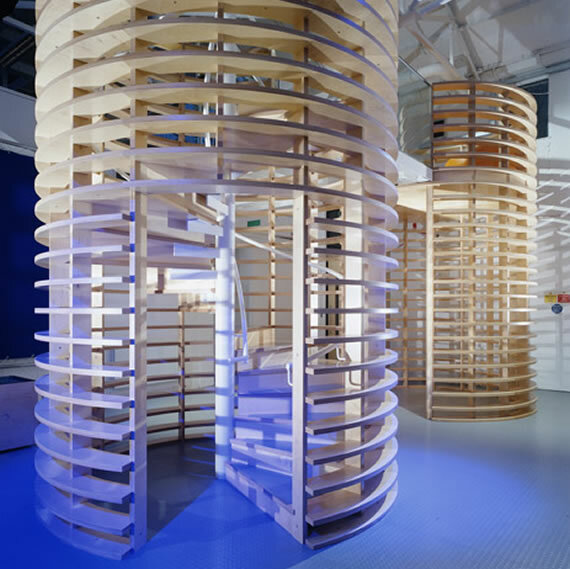 The interior became a sculptural backdrop to a series of finely engineered mobile structures housing meeting spaces and development facilities. 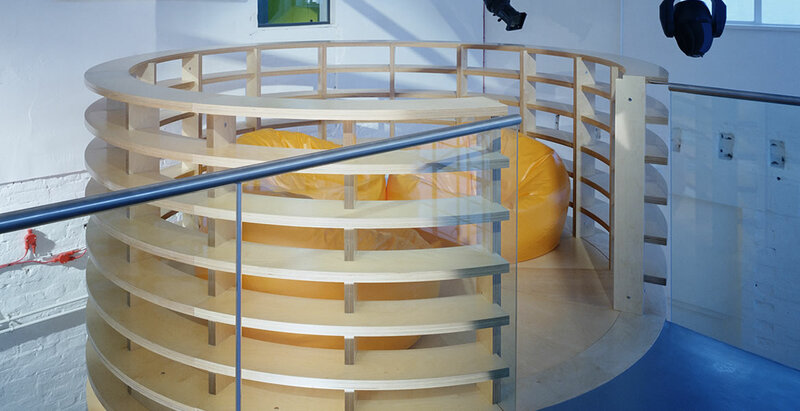 The practice also designed the family of mobile furniture which allowed the simple reconfiguration of work groups around power and data bridges which structured the space. 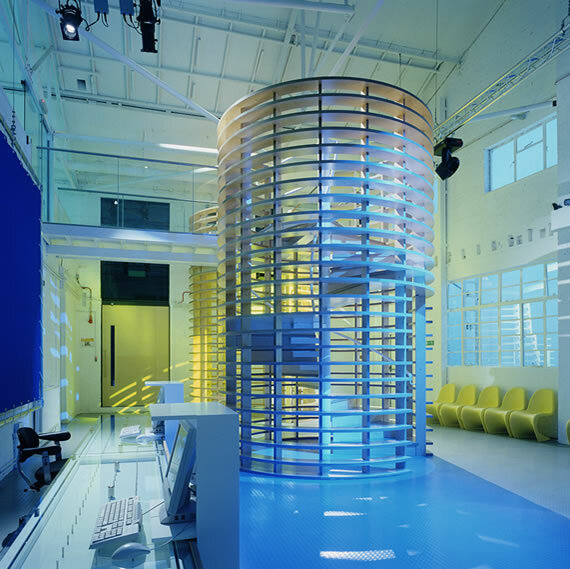 It was this project that inspired Vittorio Radice to commission the practice to design flexible retail space for Selfridges department store.